Pinch to Zoom on the HP Prime! We’ve been very busy at The MathsZone. Feedback from schools suggested they really love our gifted and talented courses Illuminate and Wondermaths, but they already have some of the materials that come with them. So, we’ve done a major re-design. Still the same fantastic courses for your gifted and talented students at key stage 2 (Wondermaths) or key stage 3 (Illuminate), but now in a neat plastic storage box, which will go on your book shelves. Each one has a comprehensive teacher guide detailing the structure and purpose of all of the sessions, with commentary and solutions (where appropriate!). For the students we have organised the materials into a beautiful student workbook. Now your students can keep all of their work in a really attractive book which they keep at the end of the course. Game cards, dice and counters are included for the activities. There are fewer puzzles directly referenced in the course, so the price is lower, but of course you can buy all of the puzzles separately to extend the activities. Illuminate comes with a CD Rom with all of the course materials and additional materials for projection. 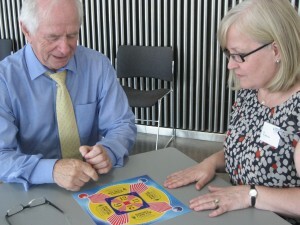 Wondermaths has an associated web site with the materials available. When you are ready to run the course for a second time, you can get extra sets of 10 copies of the workbooks. The key objective for the teacher is to get up and running with the minimum of fuss, so you can focus on supporting your students explore their mathematics. The aim of both course is to give students the opportunity to explore mathematics. 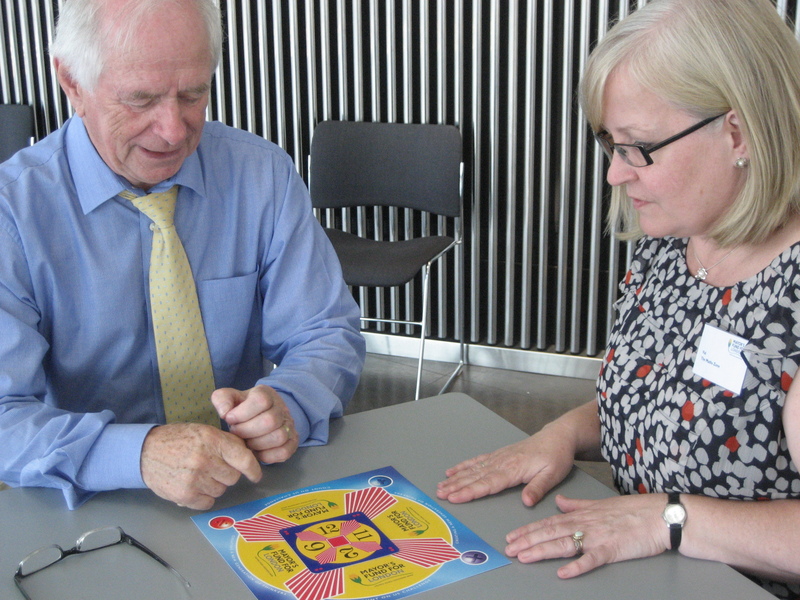 Wondermaths has games, to compare strategies, puzzles to develop sustained thinking and investigational maths top explore maths language and move towards explanation and proof. Illuminate aims to develop the ideas of pure mathematics for those who are limited by the algorithmic nature of school exam courses. Students will develop and compare proofs, while exploring the nature of proof itself. Their is a comprehensive section on group theory, fully accessible to ordinary school students. Games strategies are developed and compared and the course ends with a project in fractal geometry. These are really course in the mathematics that mathematicians would recognise. Now that HP prime is launched and I have a few of them to play with (oh and to run training sessions with …) the implications can be tested of having handheld maths technology that connects easily to the teacher computer in a classroom. Ultimately the connection will be wireless but the dongles will not be available until early next year. So, I bought some 5m micro USB cables and could test it in teaching situations. So far only teacher groups, but I’m getting the hang of it. There is free emulator software and the connectivity kit is freely available too. You can try this out yourself by opening a number of instances of the emulator and the connectivity kit on your PC. 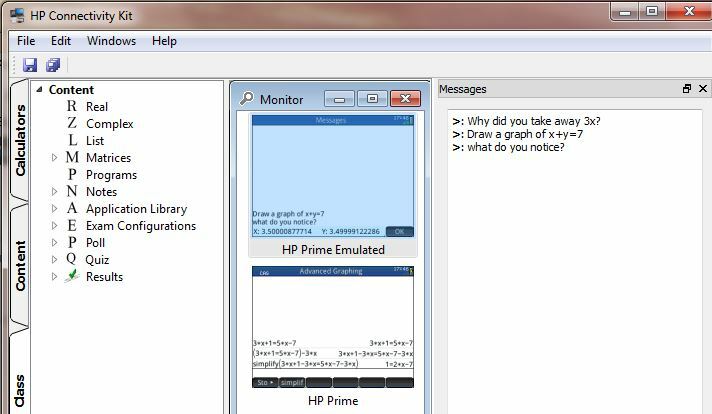 Just go to http://www.hpgraphingcalc.org/hp-prime-links-and-resources.html for the files. The most impressive thing is how utterly seemless it is. Install the connectivity kit and launch the software. Down the side there are three tabs: ‘Calculators’, ‘Content’ and ‘Class’. 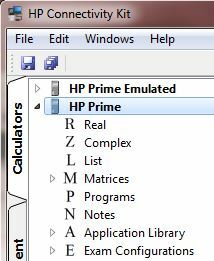 Just plug in an HP Prime calculator (or launch an instance of the emulator software and you will see it listed. Here, I’ve plugged in one real machine and am running my emulator. Clicking next to the device brings down a view of all of the content on the machine. Clicking the content tab allows us to author new content and then save it to the machine. You can create tests and polls. (Right click on the thing you want to create and ‘new’ comes up. Click that. When you are done, click the small save icon in the top left of the screen. The dialogues are pretty self-explanatory so I’ll leave you with that. When you are done, go back to the new item you created and right click to ‘send to class’ and it will be on the machine. Imagine being in a classroom in which simply by launching the software and machines being in the room, you can share content with them. No connections no log ins, just get started. But to me it bursts into life when you click the ‘class’ tab. Now you can see the screens of all of the connected machines. (Remember, when wireless is there, connected just means ‘in the same room’.). These refresh every couple of seconds (although right click and refresh speeds this up if needs be. Also, right click and ‘project’ creates a resizeable image to show the whole class. So, now I can ask my class to work on a problem and watch what they do. When something interesting happens I can (if I want) bring up that screen to show the whole class. But, there is more, … I can open a messages window. From there I can send a private message to a single machine or a message to the whole class. This appears on their screen and they can even respond and we can discuss. Personal in-class responses to individual students work monitoring the outcome of their thinking from the maths appearing on their screen. Now, I always say get students to work one between two, so we’ll have 15 screens up in a full classroom. I tried this with 6 Greenwich PGCE students and it is a bit frantic trying to respond individually. However, really, I should be more teacherly and give the occasional prompt looking our for the ‘Aha’ moments. The possibility to get to the nub of student understanding is tantalising. What do you think? I am dying to get the wireless dongles and try this in a routine classroom with ordinary kids. Then we’ll see what they can do. Exciting times.